Gwyn reports Linaria vulgaris (Common Toadflax) from a garden in Portree. 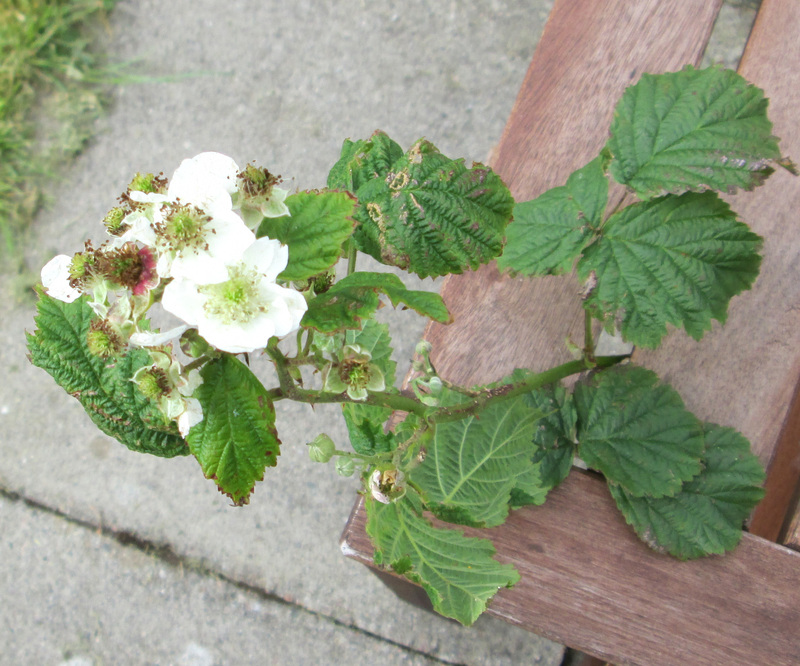 Long-term readers of this blog will recall that it appeared in my garden a couple of years ago. It is still here. 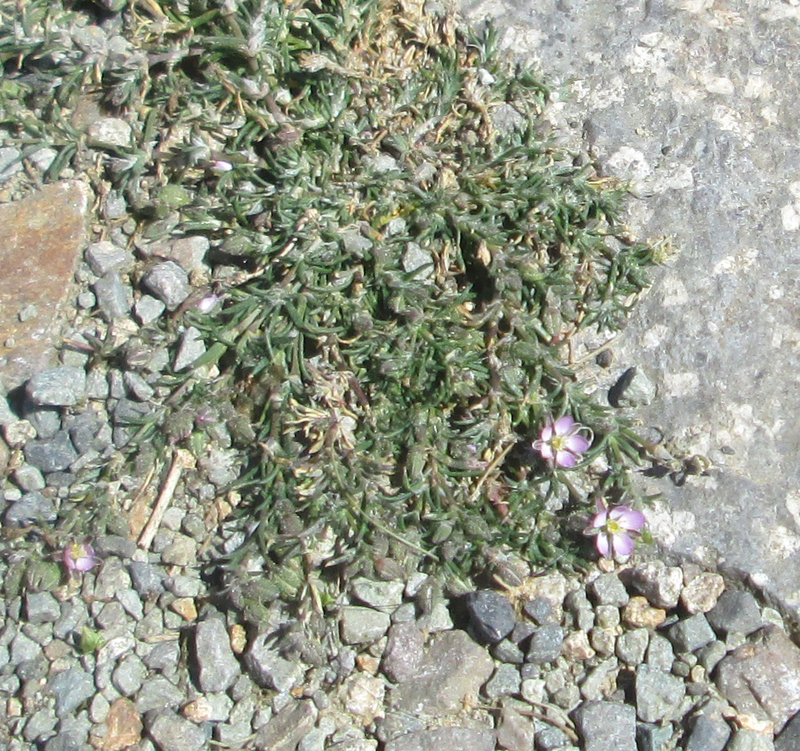 as is Centaurium erythraea (Common Centaury). 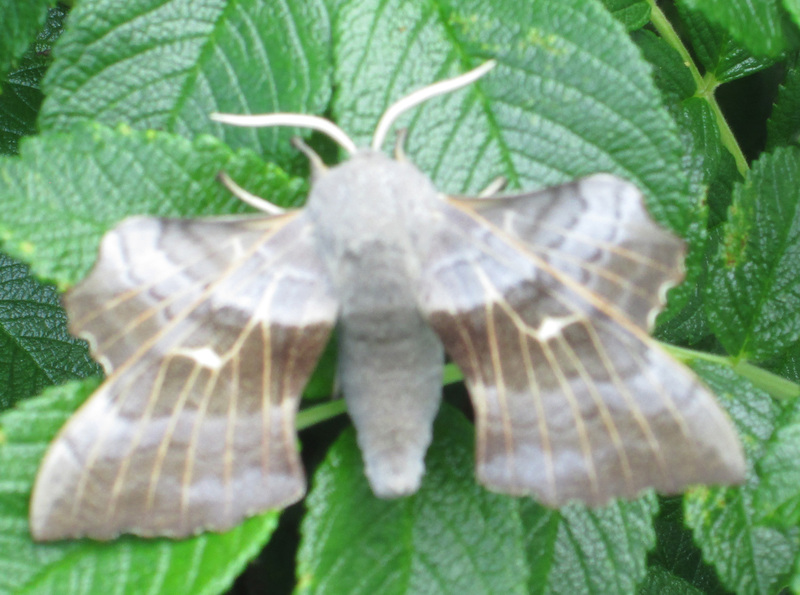 Bill tells me that he had Clouded Buff and Brown China-mark moths on Soay when we went on the SWT excursion last week. The latter has no records for Skye on the NBN Gateway – but does have pre-2000 records for Rum. 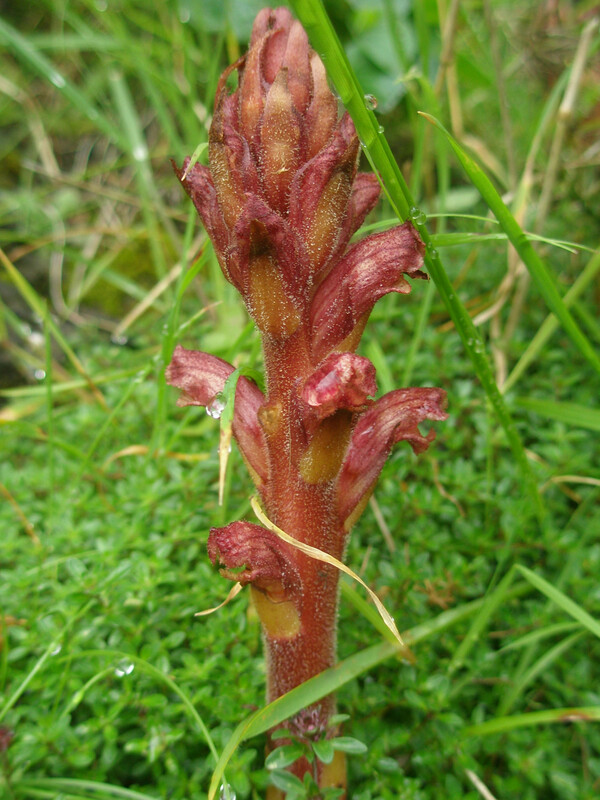 Steve sent me nearly 1400 records for Skye in June including some nice things like Botrychium lunaria (Moonwort), Dactylorhiza incarnata subsp. 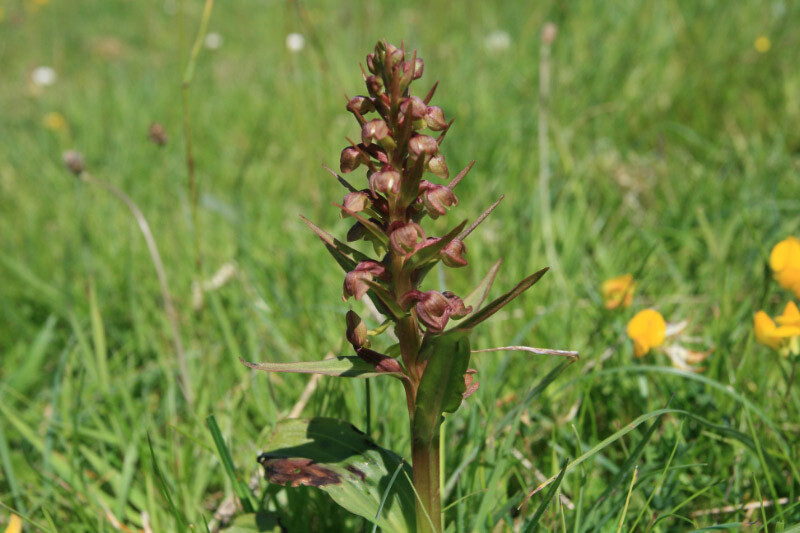 coccinea (Early Marsh-orchid), Dactylorhiza x formosa (D. maculata x purpurella), Epipactis atrorubens (Dark-red Helleborine), Neottia ovata (Common Twayblade), Osmunda regalis (Royal Fern), Persicaria vivipara (Alpine Bistort), Pseudorchis albida (Small-white Orchid), and Stellaria graminea (Lesser Stitchwort). 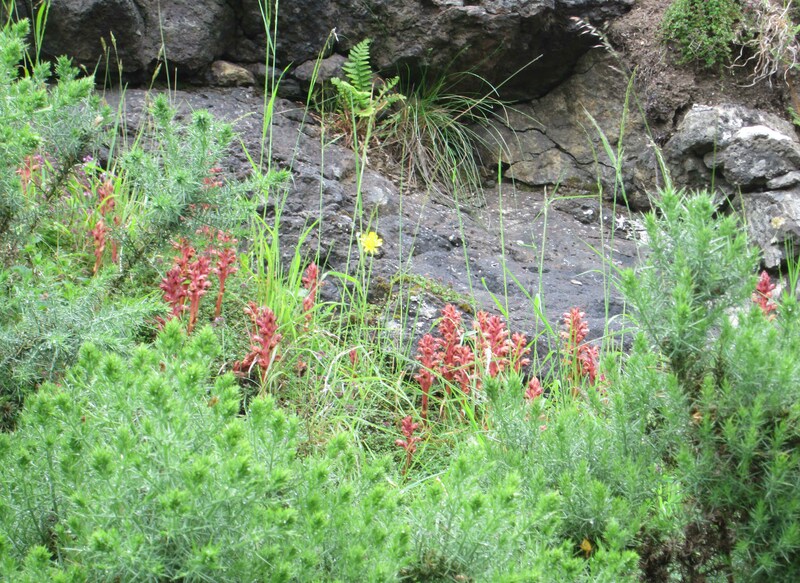 He also had some garden escapes like Lilium pyrenaicum (Pyrenean Lily) and for a first VC104 record, Sempervivum tectorum (House-leek). 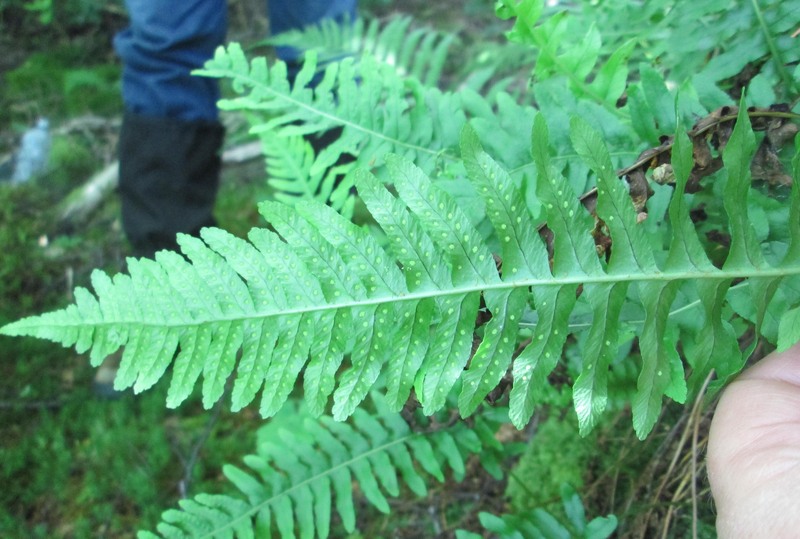 Tony has had a look at some ferns of the Dryopteris affinis complex on Skye and Raasay and identified several to subspecies level e.g. 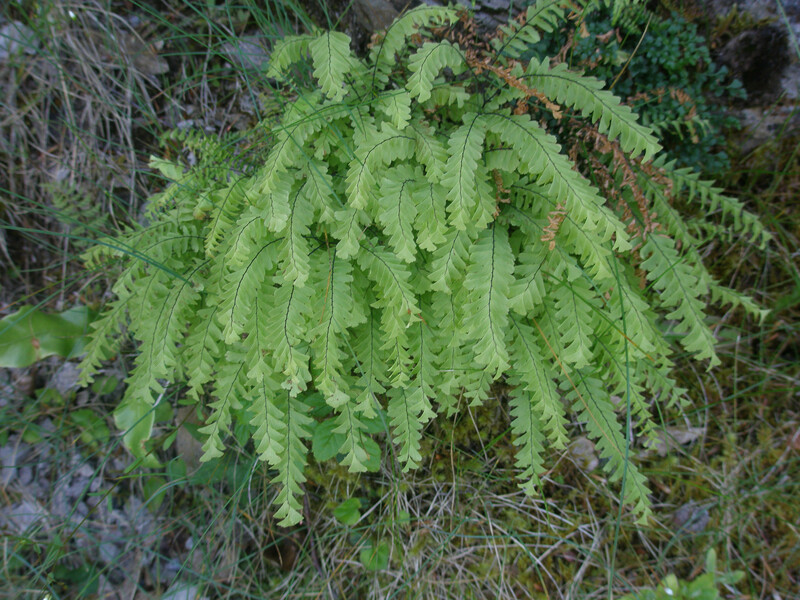 Dryopteris cambrensis subsp. pseudocomplexa and Dryopteris cambrensis subsp. cambrensis. All help welcome in this area! 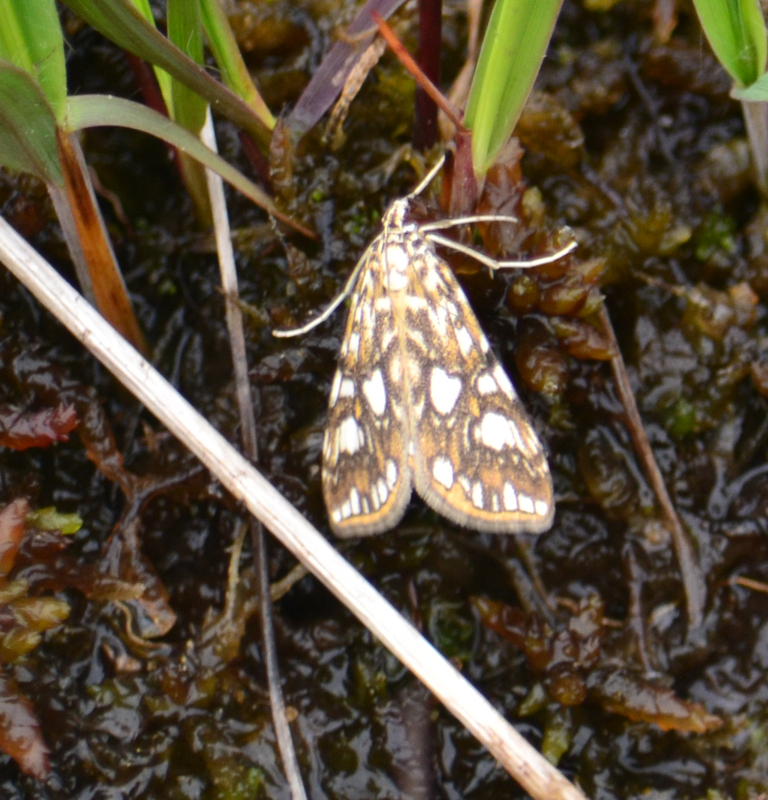 NG41 (Soay): Juncus bufonius (Toad Rush), Carex x fulva (“Empty Sedge”), Juncus ranarius (Frog Rush) and I found that Charles Sinker had recorded Vulpia bromoides (Squirreltail Fescue) on Soay but with no further localisation – so now we have a precise record. 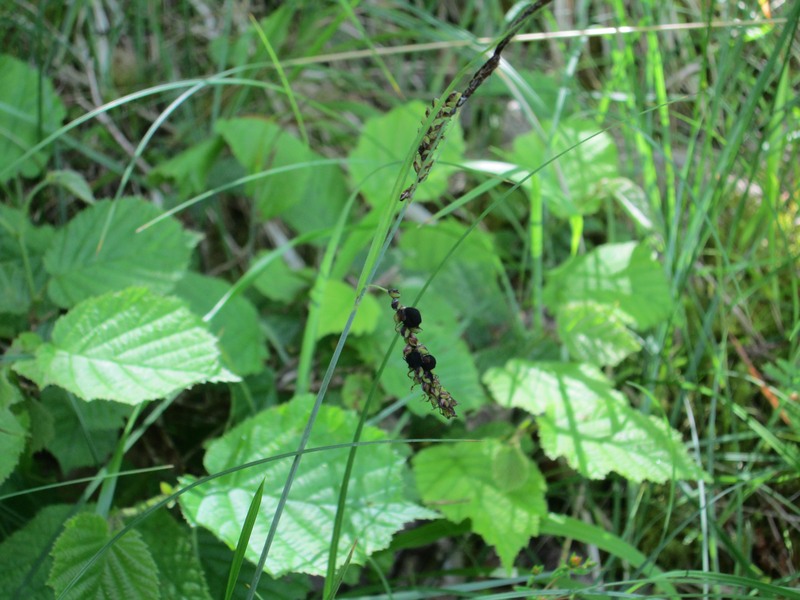 NG24 (Skye): Carex oederi (Small-fruited Yellow-sedge) and Sparganium erectum (Branched Bur-reed). 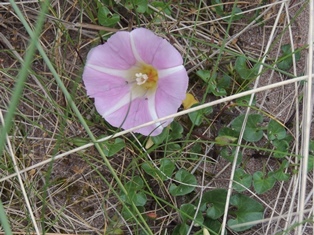 Cakile maritima (Sea Rocket) was the second record for NG24 but only the fourth site for Skye. There was only one plant. 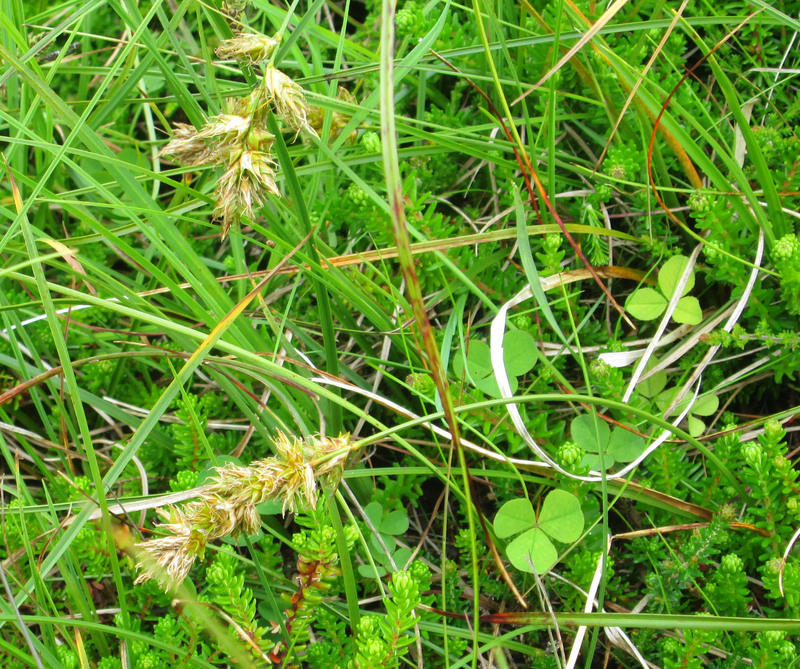 NG47 (Skye): Phleum pratense (Timothy) and Cryptogramma crispa (Parsley Fern). 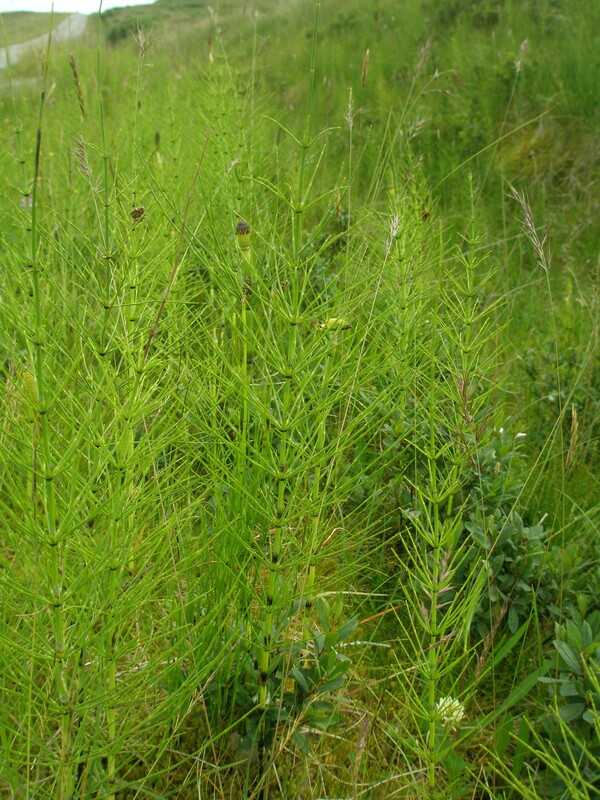 NG36 (Skye): Cortaderia richardii (Early Pampas-grass), unfortunately. NG53 & New to Raasay: Cotoneaster bullatus (Hollyberry Cotoneaster). 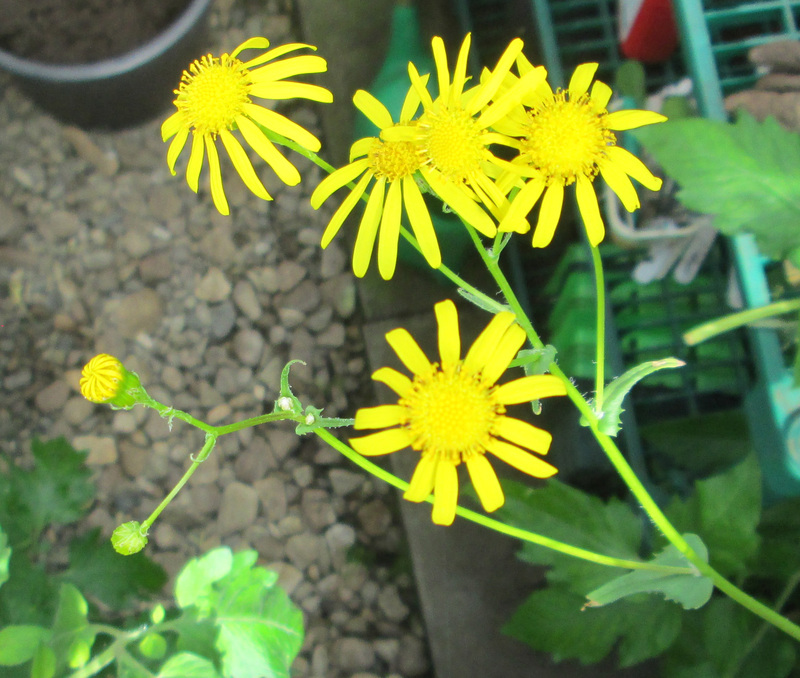 and is pretty obviously a Senecio. 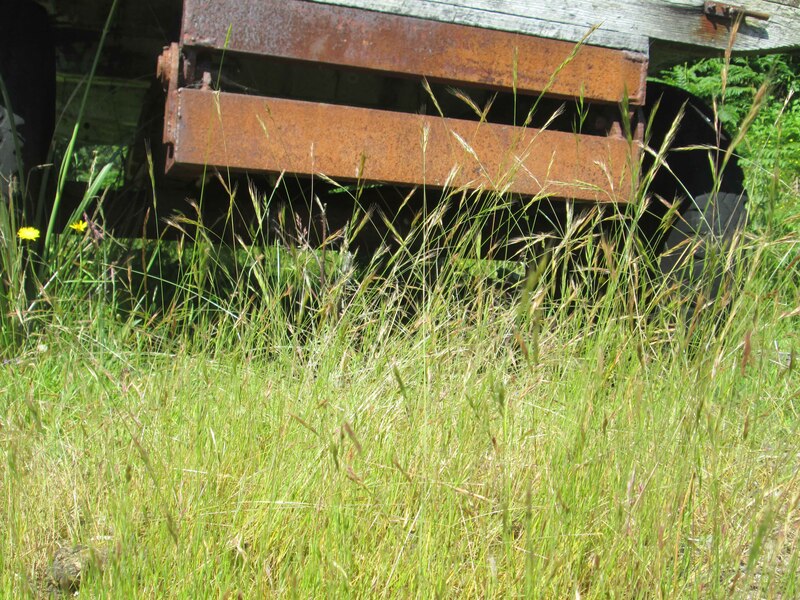 I shall take a specimen for herbarium purposes and then make sure that it doesn’t seed and have the chance to spread on Raasay. 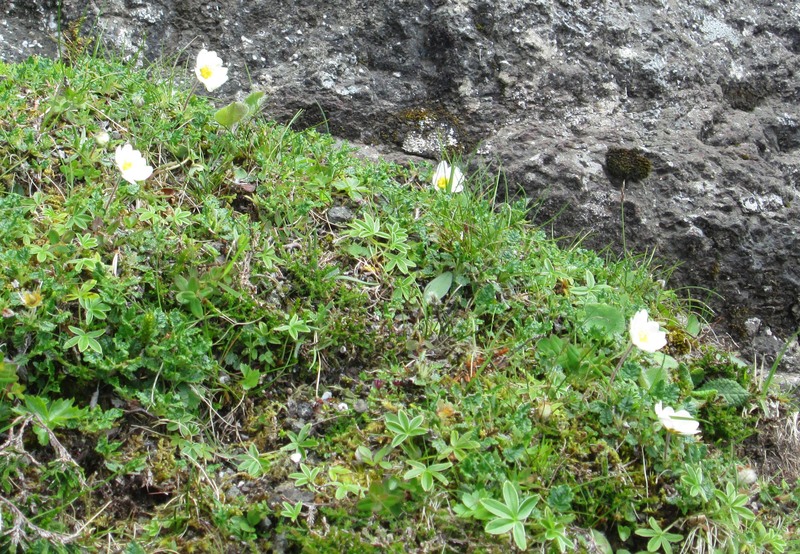 I have updated yesterday’s entry on Oskaig with images and news on the saxifrage. I am embarking on a week’s data entry and as I go I shall probably find interesting things to report that have escaped my rapid daily entries – so there may be a few out-of-sequence things to follow…. 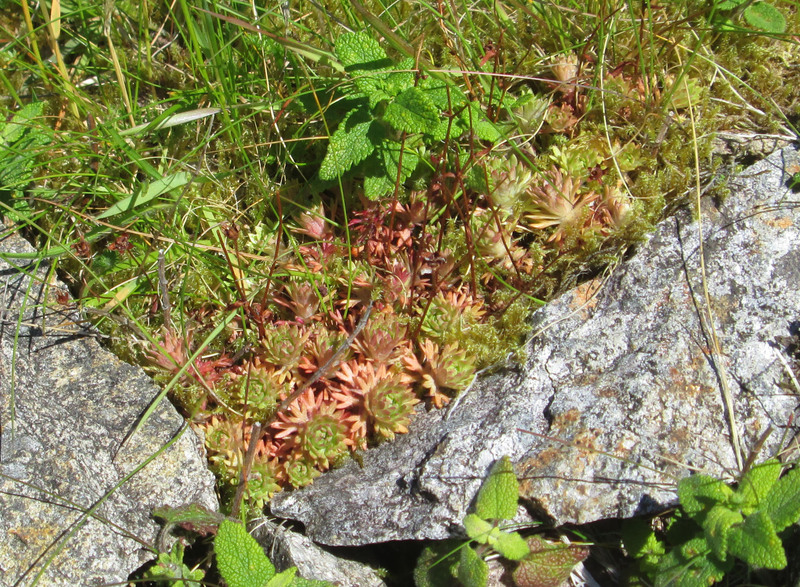 plus a garden escape – a saxifrage that is probably Saxifraga rosacea (Irish Saxifrage), which would be new to VC104. Later (Sunday) I learnt that this has been planted by the householder across the road. 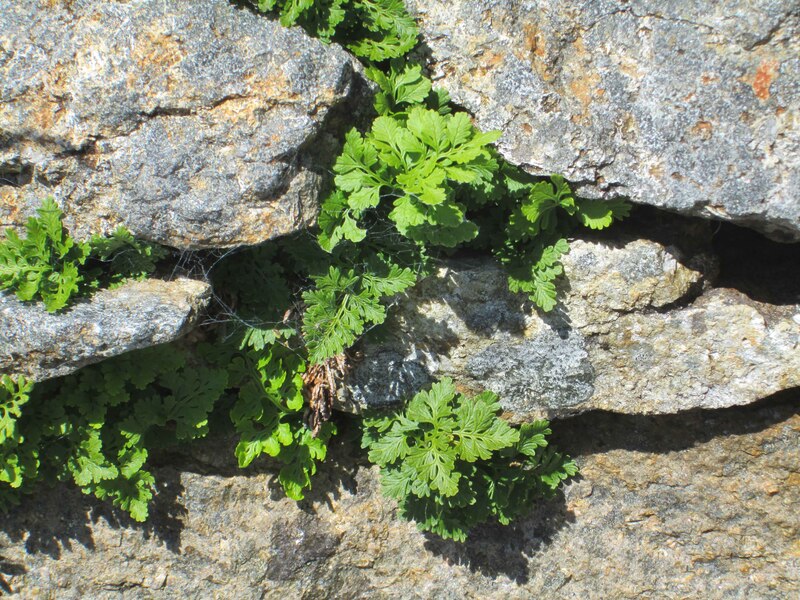 Other useful records were made for Arabidopsis petraea (Northern Rock-cress), Draba incana (Hoary Whitlowgrass), Gentianella campestris (Field Gentian) and Persicaria vivipara (Alpine Bistort). 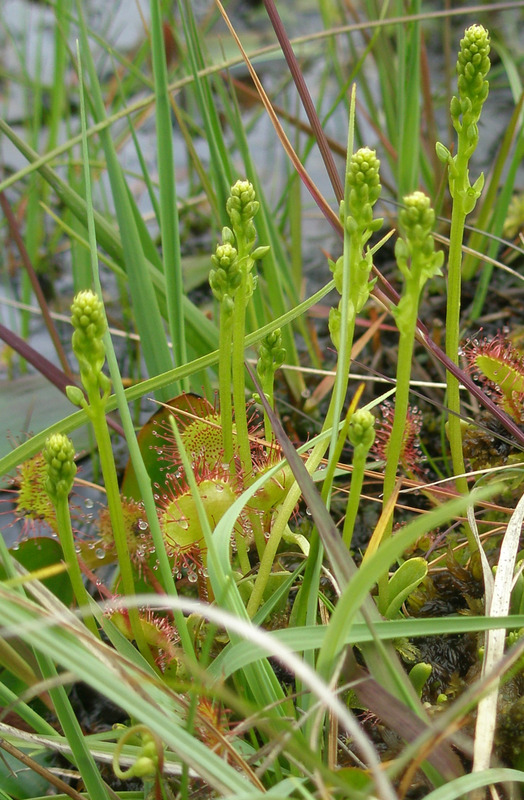 With luck, the boat trip will happen next week…..
We feel the need for greater expertise of alien Adiantum spp. for a definitive view on which one this is. At a site near Nostie , James showed us Polypodium vulgare (Polypody), Polypodium interjectum (Intermediate Polypody) and their hybrid, Polypodium x mantoniae. Also Dryopteris carthusiana (Narrow Buckler-Fern), Dryopteris dilatata (Broad Buckler-fern) and their hybrid Dryopteris x deweveri. We spent a good part of the day trying to refind Mertensia maritima (Oysterplant) on Skye but it seems to have gone from the sites where it was known from 1933 to 1993. 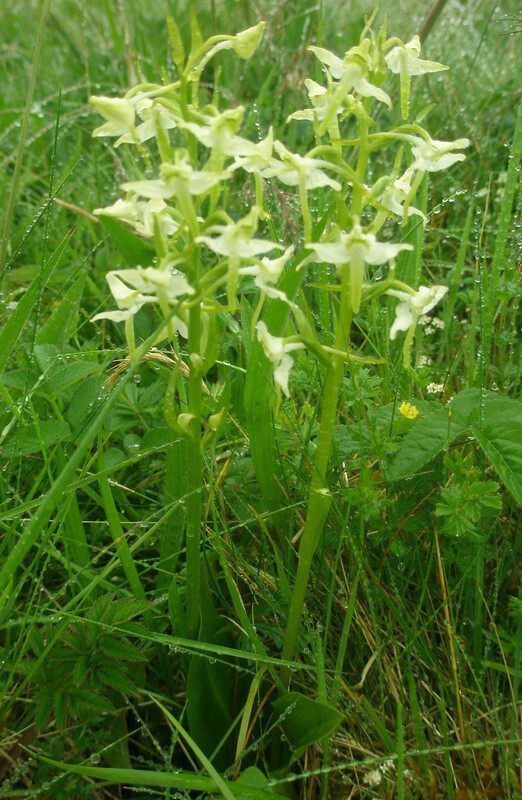 It could be elsewhere in the area as it is known to be a mobile species. The only recent records in the vice-county are from Sandy (Canna). 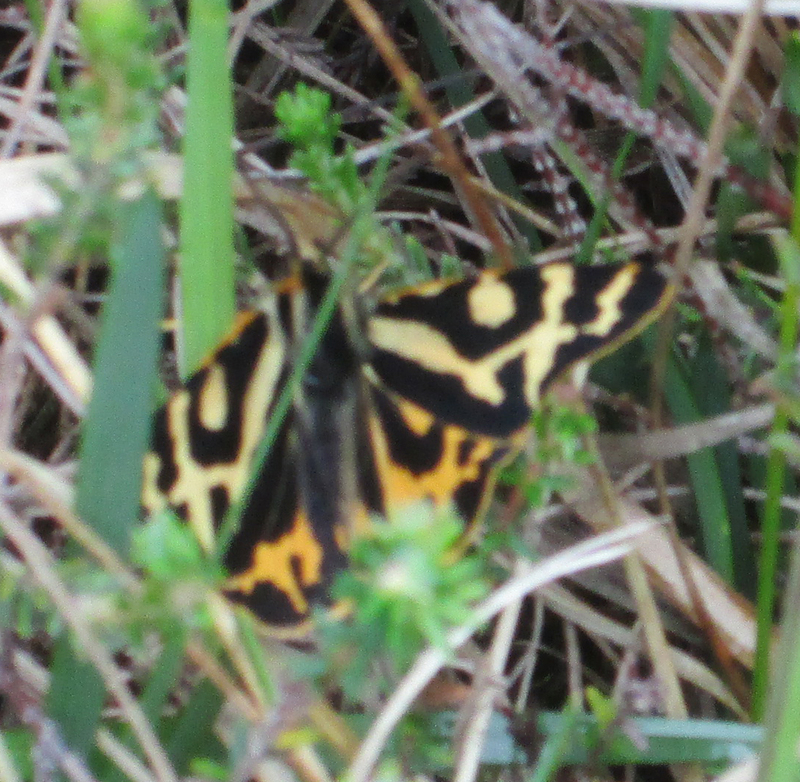 I had it in NG53 near Eyre, Raasay last year. Yesterday, SWT Skye Members’ Centre had a trip to Soay (Skye, not St Kilda). Many useful and interesting records were made. I went west and Lynne went east while others stayed nearer the centre and/or went up to the top of Beinn Bhreac. 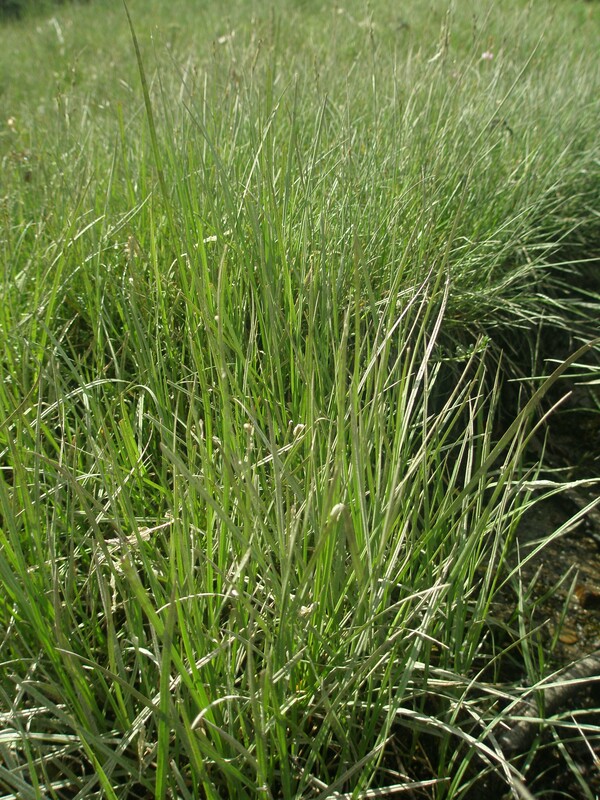 My most interesting find was Carex arenaria (Sand Sedge) on a cliff top with Empetrum nigrum (Crowberry), Eriophorum angustifolium (Common Cottongrass), Carex nigra (Common Sedge) etc – not its normal habitat of sandy shores and dunes. Interestingly, there is an unlocalised 1961 Soay record from Charles Sinker. 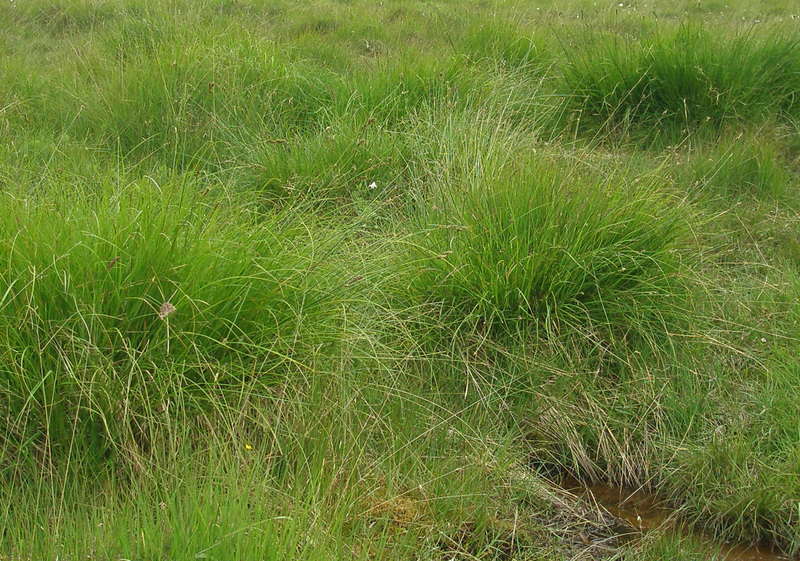 I also had an Isoetes that may be I. echinospora (Spring Quillwort) – the only recent records in VC104 are from Rum. We both had Hymenophyllum wilsonii (Wilson’s Filmy-fern) in several places and the “Central Group” found Cladium mariscus (Great Fen-sedge). 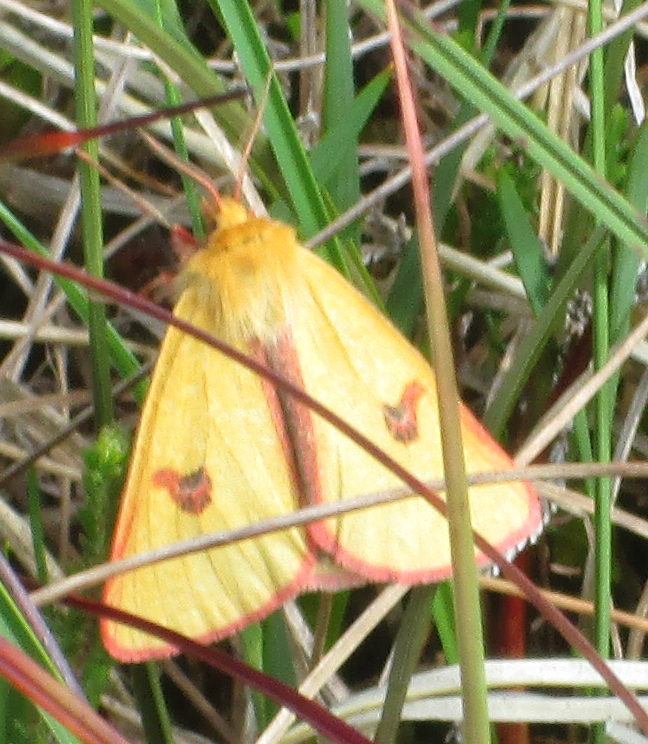 plus Large and Small Heaths and Common Blue butterflies. All in all a very enjoyable day – and there were many more pretty good records. 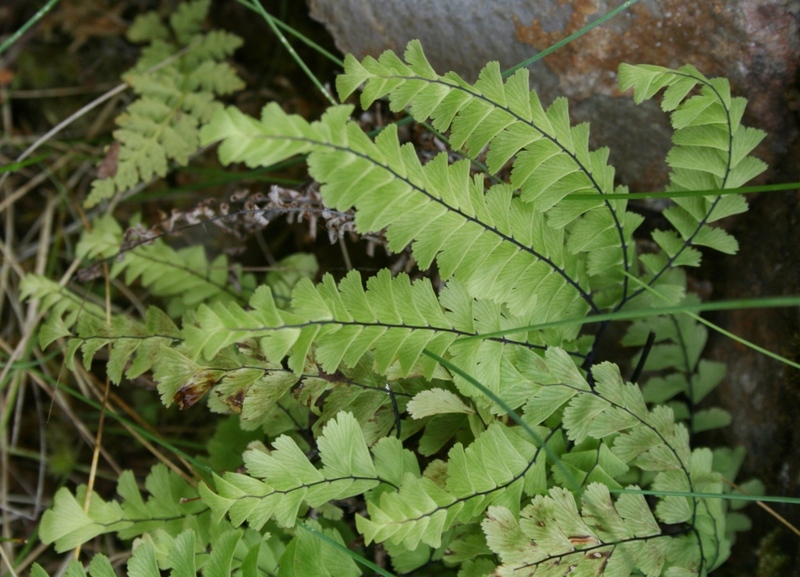 The Adiantum is very probably A. pedatum (Northern Maidenhair Fern) – already found nearby and presumed to be an escape from an old fernery . 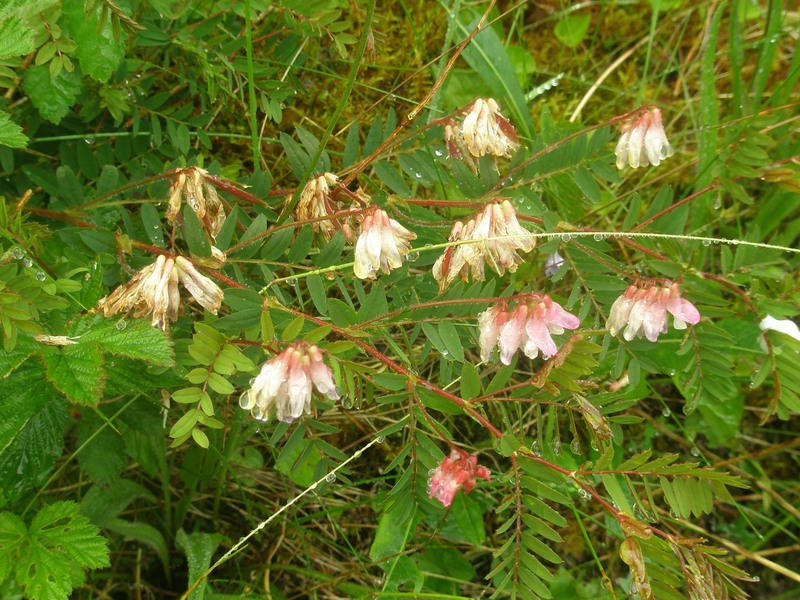 This species is native to moist forests in eastern North America.